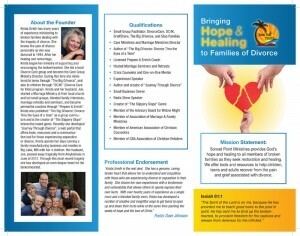 Welcome to the Journey Through Divorce discussion forum. It is my prayer that this forum will be a place where you can share your feelings, get sound advice, share your experiences and find new friends. Open your heart and allow others to learn through you. Divorce is new territory for many of us. Sometimes, a few words or a helpful comment can make all the difference.